Do you prefer a quieter environment over a bustling metropolis? We've looked at metropolitan areas with fewer than 1.1 million residents to determine which ones let you work, play, and sleep soundly while enjoying a small city atmosphere. See if your hometown made the list, or if it's time to think about moving. You don’t need to live in a big city to have good job prospects. According to April data from the U.S. Bureau of Labor Statistics, our top 10 small cities have an overall unemployment average of just 5.9%, over a full percentage point less than the national average. A strong job market makes it easier to find a new career in these cities. But work can’t be the only consideration for deciding where to live – you know what they say about all work and no play. So to make sure we found cities that not only have the jobs to support residents, we also found those that have a large amount of arts and entertainment. We weighed the city’s population against the number of arts and entertainment establishments, using data from the U.S. Census Bureau. At the end of the day, everyone wants a safe and relaxed place to call home. Based on preliminary FBI data for 2012, we also considered each city’s crime per thousand residents so you can sleep easy in your new town. Madison is viewed by some as a college town, which makes it a handy location for attracting innovative employers: Nearly half of Madison’s residents over 25 hold at least a bachelor’s degree while the city is home to a growing number of major corporations from the healthcare, consumer, and biotech sectors. The heart of the city lies in State Street, where cars are limited and restaurants and shops abound. Be sure to set your alarm clock on Saturday morning and check out the farmer’s market in Capitol Square – it’s the largest in the nation. Located in Southern California, Oxnard is perhaps best known as California’s largest strawberry producer. The city even hosts the annual California Strawberry Festival, which features an assortment of tasty snacks, including strawberry nachos, strawberry pizza, and even strawberry champagne. But there’s more to Oxnard than just fruit. Though the unemployment rate is just below the national average, the city thrives on international trade through its port, tourism, and manufacturing. Some major companies with operations in Oxnard include Sysco, Procter & Gamble, and Boss Audio. As home to Warren Buffet’s Berkshire Hathaway, it’s no surprise that Omaha’s unemployment rate is astoundingly low. The city comes in eighth place in the entire nation for billionaires per capita. Additionally, it has Fortune 500 companies headquartered here, with countless others having regional operational centers in Omaha. All of this corporate activity means there’s enough action during off-hours to keep these well-off residents busy in their spare time: From the Henry Doorly Zoo to the Old Market historical district, Omaha has a wide array of both family-friendly activities and adult-centric bars, restaurant, and shops. If you need a dose of Southern charm, there’s no place better than Charleston. Though its unemployment rate is one of the highest in our top 10, it’s still more than a full point below the national average. While employment has historically relied on the city’s tourism and shipping terminals, the Charleston Digital Corridor has paved the way for growth in the IT sector; a number of major companies have made their home in Charleston, including Blackbaud, SPARC, and BoomTown. After work, head to the gorgeous waterfront to let off some steam – and maybe sip on a mint julep while you’re at it. Next, we come to Boise, Idaho. Though statistically not a hub for arts and entertainment, Boise’s unemployment is well below the national average, and it’s one of the safest cities in the country. But don’t worry, there’s still plenty to do. From film festivals to art museums, Boise is also home to the Bogus Ski Basin area and Zoo Boise, making it a great place for arts lovers and outdoor fans alike. Near the east central coast of Florida, Palm Bay has just over 100,000 residents, making it a great place if you really want a small-city atmosphere. The city has plenty of entertainment per capita in the region, and the crime rate is low. And the city has potential: It is implementing a downtown renovation plan to create a more centralized location within Palm Bay. However, the unemployment rate is just above the national average. Nicknamed “Waterfront Wonderland,” Cape Coral boasts the most miles of canals in the world – even more than Venice. While this city doesn’t have a huge number of corporations, the top employers include local government, the health care sector, retail, and real estate, making it a great place if you are interested in working directly with your local community. Not surprising, Cape Coral’s year-round warm temperatures allow for tons of outdoor recreation, including a number of golf courses, SunSplash Water Park, fishing grounds, and more. The third Florida city to make our top 10, Sarasota is another water-town focused on outdoor entertainment. However, you can find a number of cultural attractions here as well, including an annual film festival, in addition to the Sarasota Ballet and Opera. Debuting in 2010, the Sarasota Chalk Festival brought the first international street-painting festival to the country. Leaving the Florida coast, we now come to Des Moines. Though the city’s crime rate is the highest among our top 10, unemployment is one of the lowest. 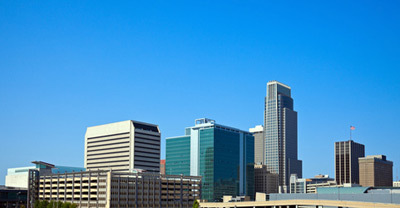 Des Moines is a national hub for the insurance industry and also has a number of major financial firms and publishers. You won’t feel landlocked in this Midwestern town – the Simon Estes Riverfront Amphitheater is one of many attractions taking advantage of the city’s river views. The arts are also thriving in Des Moines, with both the Pappajohn Sculpture Park and Des Moines Art Center. Finally, we wrap up our list with Pennsylvania’s capital city, Harrisburg. Just over 100 miles away from Philadelphia, the city offers a small-town feel with easy access to a larger metropolis. Historically, the town’s economy has largely relied on the health care sector, but technology and biotech firms have increased significantly in recent years. Still, the city doesn’t forget its agricultural roots; each year, it hosts the Pennsylvania Farm Show, the largest agricultural exhibition in the country. From the West Coast to the East Coast, the Midwest to the South, our top 10 list of small cities offers a variety of geographically diverse options. It’s worth noting that the data used for this study included both metropolitan statistical areas (MSA) and city-specific numbers. The largest city in each MSA was highlighted for the list above. Prefer a larger city? Check out our list of Best Cities to Work, Play, and Sleep Easy. Share on Facebook "Best Small Cities to Live: Spend Less, Get More"